This square, located in the heart of the historic center, is the ideal place to relax between walks in the city’s alleys and visits to points of interest that surround this garden. Standing on top of a pedestal, stands the statue which gave this garden its name, and was inaugurated in 1900. The Infante Dom Henrique (1394-1460) was a noble navigator and important figure of the Age of the Portuguese Discoveries. He will have been born nearby, at Casa do Infante. The Streets of Ferreira Borges, Infante D. Henrique, Mouzinho da Silveira and the Bolsa set the limits of this square which was previously an integral part of the fence of the Convent of St. Domingos. The privileged location of this square allows amazing views of the surrounding emblematic buildings, such as the Stock Exchange Palace, the Ferreira Borges Market, St. Francis Church and the Parish Church of St. Nicholas. This tower has a fable? 6 June, 2018 / Monument, Did you know? Near the Palácio de Cristal, a medieval tower resembles a story of arrogance and greed that went awry. Belonging to the emblazoned house that stands on the corners of the D. Manuel II and Júlio Dinis streets, this medieval tower, classified as a National Monument, is also known as Torre de Pedro Sem.It recalls the legend of a very wealthy man who ended up broke and having to beg for pennies. According to the fable, in the sixteenth century this palace was inhabited by a wealthy man, owner of several ships used for the commerce of spices and precious metals. It is also said that part of their wealth had been obtained by lending money at high interest rates and dragging many people into poverty. One day, anxious for the arrival of his ships, he climbed the tower to see the boats at the entrance to Barra do Douro. Ecstatic, he would have shouted that his wealth was so great that even God would not be able to make him poor. At that moment, a storm arose and sank all of his ships. His punishment for blasphemy was even greater: a thunderbolt struck the tower, destroying the house and all its assets. Pedro Sem (Peter Without) lost everything and ended his days as a beggar. Intended to evoke the Centennial of the Peninsular Wars, the monument located in the center of Mouzinho de Albuquerque Square (Rotunda da Boavista) began to be built during the Monarchy but was only completed more than 40 years later during the Republic. The idea of ​​honoring the way the troops and the people of North America defeated Napoleon’s army – symbolized in the way the lion overlapped the imperial eagle – arose in 1908. The first stone was laid in 1909 by King Manuel II, who would become the last Portuguese king. A contest was launched for the project, but the winner would only be known in 1911, when Portugal was already a Republic. The architect Marques da Silva and the sculptor Alves de Sousa were chosen for a project that would only be finished after their deaths. Alves de Sousa passed away in 1922 and Marques da Silva, who tried everything to complete the construction, would also die in 1947 before the monument was inaugurated. It was through the hands of his daughter and his son-in-law, and already with contributions from the sculptors Henrique Moreira and Sousa Caldas, that this ex-libris of the city would be ready. It was inaugurated on May 27, 1952. Classified as a National Monument in 1977, the Monastery of São Bento da Vitoria is one of the most important religious buildings of the city. When it was built in the 16th century, it was within the walls of the city, near the Porta do Olival, occupying lands that formerly integrated the Jewish quarter. The Benedictine friars arrived in Porto in 1597 and the following year they were authorized by the king to build a monastery, designed to mark the presence of the Portuguese Benedictine Congregation and to support the friars who passed through the city. The construction of the building, designed by the architect Diogo Marques Lucas, began in 1604, but the construction dragged on for many years. The church, for example, was built in 1693 but its decoration was not complete until the end of the eighteenth century. Therefore, the baroque architecture of its exterior is accompanied, in the interior, by several decorative styles which reveal the change of styles and tastes during this long period. The first stone of the Noble Cloister was launched in 1608 but would only be completed between 1725 and 1728. The grandeur of this granite monument is still impressive today. But at the time it functioned as a monastery, it was an important center for music and singing. The organ that exists in the church bears witness to this golden age. The following centuries were somewhat troublesome: in 1808, during the Peninsular War, it was converted into a Military Hospital and, in 1835, after the expulsion of the Religious Orders, it was transformed into a Military Court and House of Soldiers, as well as Infantry Quarters 31 and Engineering. Between 1985 and 1990 it underwent restoration works functioning as the headquarters of the Oporto National Orchestra and the Porto District Archive. In 2001, under the European Capital of Culture, the Cloister Noble was covered by an acoustic shell. In 2007, part of the Monastery was attributed to the Teatro Nacional São João. Since then, it welcomes theatrical plays, shows, concerts and special events. From Monday to Friday, at 12:00, and the first Sunday of the month, at 15:00, for a maximum of 30 people. Price: € 3.00 per person. Free entry for children up to 10 years old, accompanied by adults. The church of Santo Ildefonso has about 11,000 tiles on the front and sides of the bell towers. These tiles were designed by Jorge Colaço, who also created the tiles of São Bento Station, and represent scenes from the life of Saint Ildefonso and the Gospel. They were placed only in 1931, but the construction of the church is much older. The church of Santo Ildefonso began to be constructed in 1709, the first phase (still without the bell towers) being completed in 1730. In the interior there are eight stained glass windows and a retable in carved baroque and rococo of the first half of the 18th Century by Nicolau Nasoni. 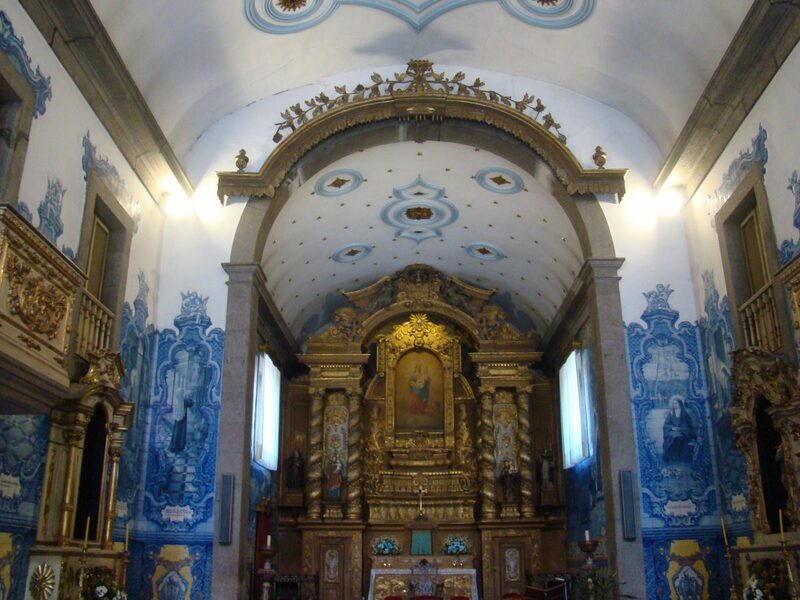 When visiting this church, located in the middle of downtown Porto, do not forget to pay attention to two large canvases measuring 5.80 x 4.30 meters, suspended on the side walls, painted between 1785 and 1792. In the area of the choir there is a pipe organ of the early nineteenth century, which has been restored. The church also has vestiges of an old cemetery, discovered during the restoration works of recovery executed in 1996. It was from the staircase of this church that in 1891 shots were fired that would end the revolution that was the first attempt of the implantation of the Republic in Portugal. It is one of the treasures of Porto. Located in the historical area of ​​the city, it is distinguished by the Gothic construction and the rich golden carving interior. The Church of Santa Clara is one of the best examples of decoration with gilded carving used during the Baroque period. Despite being a building of Gothic origin, dating back to the XV century, it has undergone several transformations throughout the centuries, thus lodging various architectural and decorative styles. The cloister, for example, has Mannerist characteristics, but the concierge and the chancels are already examples of the Baroque of the early eighteenth century. The nave underwent alterations in 1732, in order to enlarge the space and increase the interior lighting. The most significant transformation, however, occurred with the introduction of the gilded carving in the master chapel. This national monument features the tiles, which stand out, in the area of ​​the chancels, with a panel dating back to 1680, representing the souls of Purgatory. 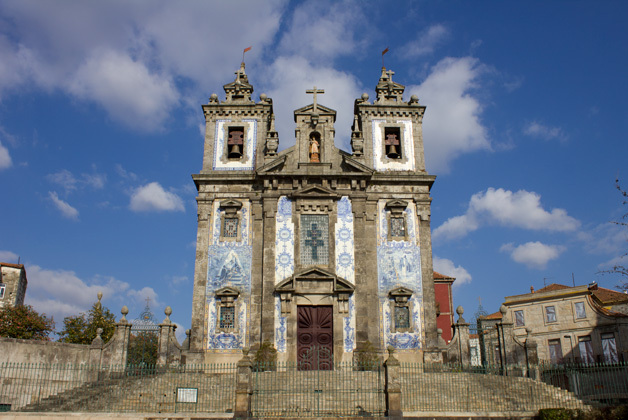 It is the oldest church in Porto, with origins dating back to the sixth century and a king desperate to save a sick son. Classified as a National Monument and located next to another larger and more modern church, the Church of São Martinho de Cedofeita, commonly known as the Romanesque Church of Cedofeita, stands out for its simplicity and antiquity. The present church is not, however, the original building, since the temple dates back to the sixth century and the Suebi Dynasty, undergoing several changes over the years. The earliest remains were from the end of the ninth century, therefore predating the very formation of Portugal, which only occurred in the twelfth century. It may have been after 868 (year of the re-conquest of the city from the Moors) that a temple was built, whose capitals still resist. These elements were built in limestone, probably originating from the region of Coimbra, while the remaining building was made in granite. The lower parts of the chancel would have been built later, dating back to about 1087. 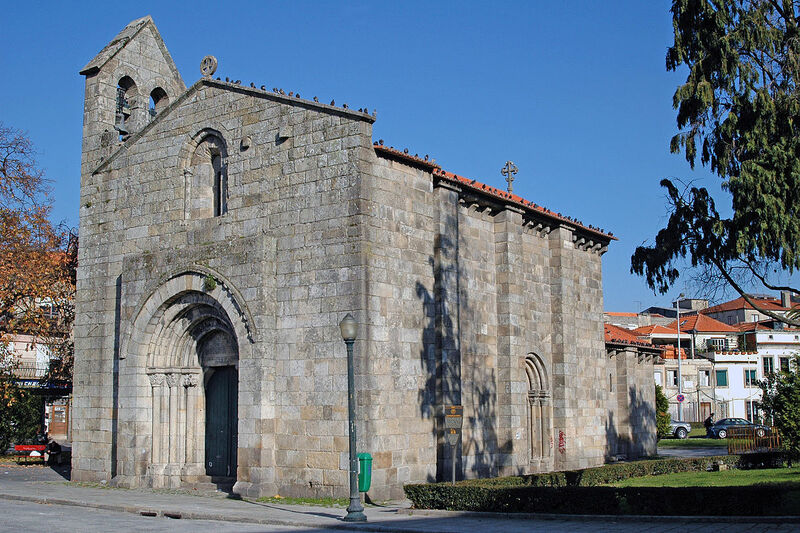 Nevertheless, the Romanesque phase of this important work only appeared later, during the period of the reign of D. Afonso Henriques, the first Portuguese king. 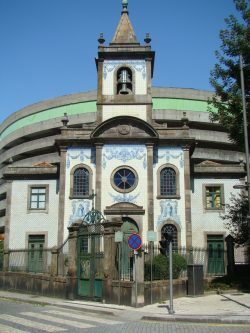 In addition to its antiquity, this church has unique architectural and decorative features in this region of the country: particularly important is the tympanum in the North Portal, where one can see an Agnus Dei (a mystical lamb symbolizing Christ in the Apocalypse), quite similar to one that exists currently at the Machado de Castro National Museum in Coimbra. The influences of this region can be explained by the fact that Soeiro Anes worked on this project, which was also connected to the Sé Velha of Coimbra. The Suebi king Theodomiro, desperate to save his sick son, made a promise to Saint Martin of Tours, sending to Tours gold and silver in weight equal to that of his son. When returning, a bishop brought a relic of the saint, and when it was shown, the sick son healed. Feeling extremely grateful, the king converted all his people to Catholicism and had a church built in honor of the saint. The church was quickly built, becoming known as Cito Facta, which means Made Early. From this expression the present name of that zone: Cedofeita is derived. Opening Hours: Tuesday through Friday: 4:00 p.m. to 7:00 p.m.
“O Porto a penantes” – Penantes is a typical Porto expression that means “walking” – it is a personal project of Joaquim Lino, who likes to walk and photograph some of the corners of the city. He will be sharing with Hey Porto! readers every month some of these tours, leaving suggestions so that those who visit the city can discover secrets that often, not even the people of Porto know. Recently, in one of these walks through the city, he entered the Chapel of Fradelos, a small late-19th-century church, located at the intersection of Guedes de Azevedo and Sá da Bandeira streets, which is generally off the main tourist routes but deserves to be known. On the main façade and in the interior there are tiles by Jorge Colaço, the same author of the tiles that decorate the Station of St. Benedict and the Church of St. Ildefonso. The stucco ceiling decorated by gold center medallions stands out. Why not try a pleasant walk on a pleasant promenade, where you visit one of the most beautiful areas of Porto. Chapels that were built in the middle of the XVIII century, destined to the procession of the fourth Sunday of Lent and symbolizing the footsteps of Christ on the Stations of the Cross. The procession passed 15 chapels, but only five had a fixed structure (the rest were set up for the occasion) and all of them withstood the passage of time: Passo do Passeio Alegre; Passo da Rua Bela; Passo de Santa Anastasia ; Passo da Rua Alto da Vila and Passo do Largo do Rio da Bica. These granite chapels have a baroque aesthetic, with small oratories on the outside and a medallion on the top. Inside, each altar has a painting dedicated to the steps of the Passion of Christ. The steps were ordered to be built by the Confraternity of Senhor dos Passos and Nossa Senhora da Soledade and designed by Manuel dos Santos Porto. Arches of Montebelo Street – Once served as part of the aqueduct that supplied water to the residence of the Friars of Santo Tirso, who at the time were the owners of the lands of Foz do Douro. 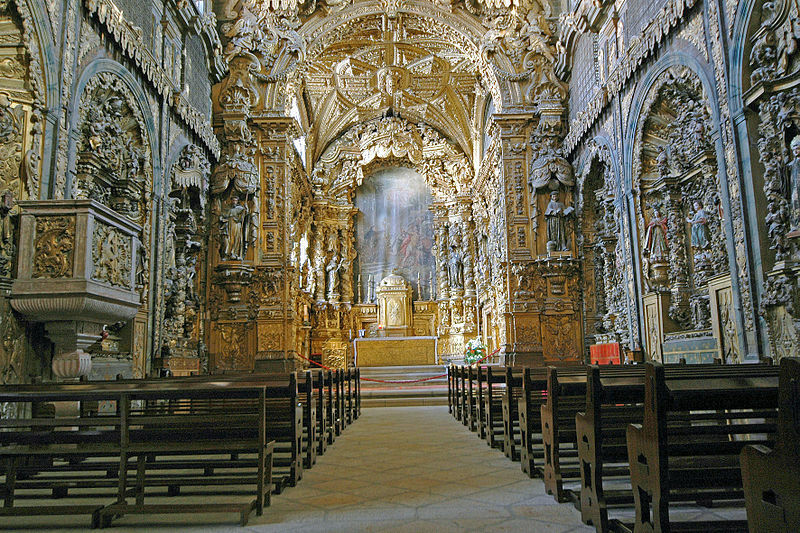 Church of São João da Foz – Baroque church, with eight lateral altars of baroque carving. The façade has a niche where the image of St. John the Baptist is displayed. The Undiscovered Food Stories of Northern Portugal mentions the Bolhão Market as the character of the book. With texts by Gabriella Opaz and Sonia Andresson and photos by Ryan Opaz, this book which is written in English, is a declaration of love to one of the most mythical places in Porto. Bolhão is the central point of the stories that are told here: the sellers who are the soul of the market, but also the products that are sold there daily, including recipes of typical dishes and their regions. The book TheUndiscoveredFoodStoriesofNorthern Portugal, by GabriellaOpaz and Sónia Andresson (Book Workshop), was nominated for the Special Prize of the prestigious GourmandWorldCookbookAwards, also known as the “Oscars” of the kitchen. GabriellaOpaz, one of the authors, revealed to Hey Porto that the inspiration for this book was the market sellers themselves and the they d manner in which they deal with hardtimes, always contributing to preserve the Portuguese cultural heritage. Among the many products on sale in the market, GabriellaOpaz highlights the Avintes broa, the succulent olives of the Douro and the fish.